Whenever I think about this quote by my friend Simo Ahava (who has a blog chock full of wonderful content), my thoughts immediately drift to Custom Dimensions. Custom Dimensions, as you may have guessed based upon the name, are simply custom ways to collect data for use in Google Analytics. By analyzing meaningful data stored in Custom Dimensions we are able to understand more about user behavior on our sites, which will guide business actions. The more we know about the user and their behavior, the more informed our decisions will be. 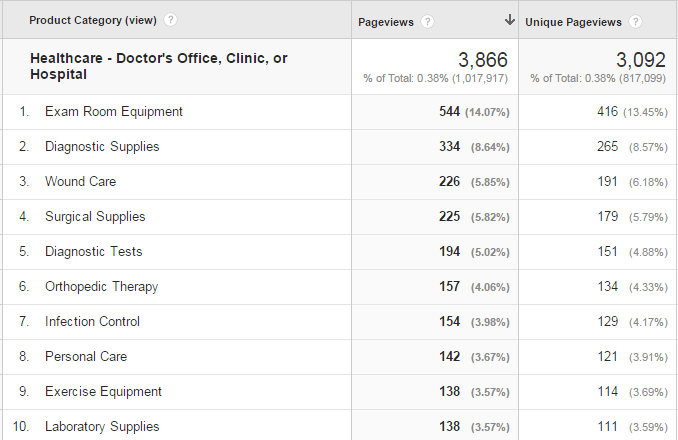 One thing that I love about GA is the deep integration with Google Adwords. The most common use of the integration is measuring Adwords performance directly in GA with the ability to drill down and segment by a large number of Adwords specific dimensions (including Cost Data). The other key aspect of this integration empowers the user of GA to directly take action based upon their data in GA by creating powerful Adwords Audience Lists for use in remarketing campaigns. This post is going to demonstrate how meaningful data collection vis-à-vis Custom Dimensions can be turned into smart Audience Lists. Custom Dimensions are something you will need to have configured on the code level. You will need developer resources to help you configure your GA code (or Data Layer if you’re ideally using Google Tag Manager). Once the code is configured, you will also need to create the Custom Dimension in GA’s Admin. 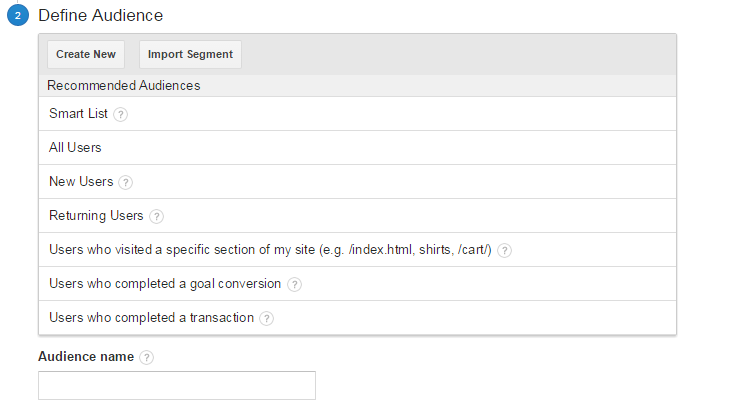 Notice that Google Analytics requires you to set a “scope” for the dimension in advance of data processing. 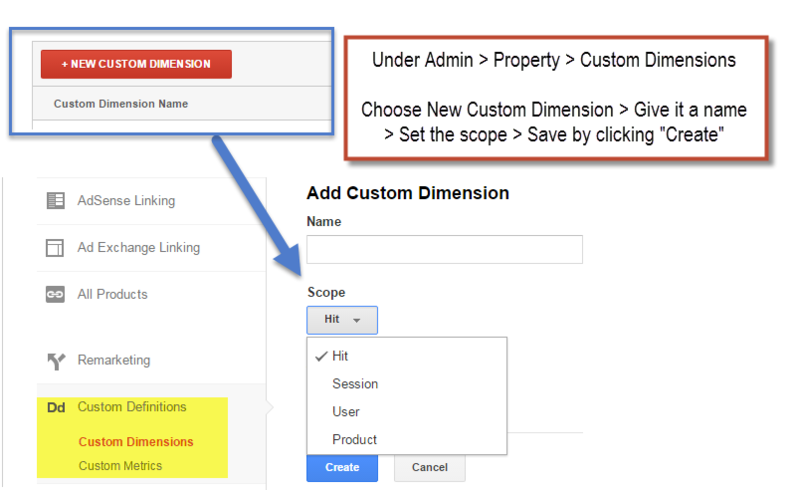 There are four custom dimension scopes: Product, Hit, Session, and User. 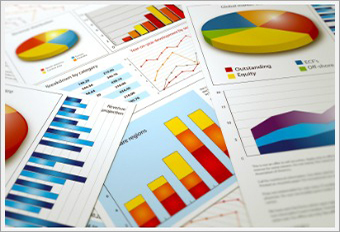 Product Level Custom Dimensions are used to provide extra dimensions for Enhanced Ecommerce reports. Enhanced Ecommerce supports a Categorical Hierarchy (taxonomy), Brand, Variant, Product Name, and SKU. Custom Dimensions can be used to add information such as seasonality, stock levels, and estimated delivery times. They are applied on a “per product” level, so if you have many products on a page (like on a category page), you can apply different values for every product (multiple times per hit). Hit Level custom dimensions are great for describing content or other page level attributes. Author, publication date, content category, word count, and page type are just some examples of good hit level custom dimensions. They are applied on a per hit basis. Session Level custom dimensions apply to all the hits in session (they are applied retroactively once set). A good example of a session level dimension is tracking if a user logged in during their session. User Level custom dimensions apply to all hits in the session and to any future session (they are persistent – even if user is not logged in). They are great for describing what you know about your users. In many cases, this information is affirmative data; that means to say that users tell you certain information about themselves. We will use a number of User Level examples for building Audience Lists. Now that we’ve got a good understanding of the different types of Custom Dimensions, let’s look at how we can use them to build a custom Audience List. 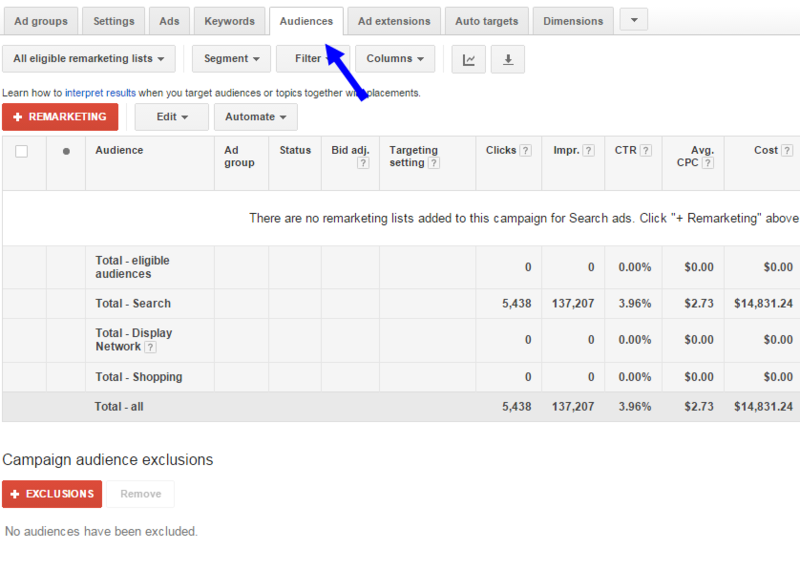 Audience Lists in Adwords allow you to more accurately target who sees your ads. These lists include Remarketing Lists and Interest Categories. 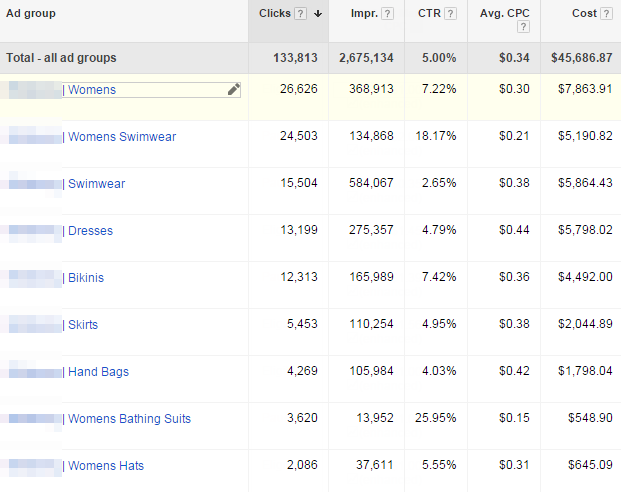 There are different ways that Audience Lists can be built in Adwords. Some lists (such as those which use Interest Categories) are built upon Google’s Doubleclick platform. This means that a 3rd party cookie anonymously tracks visits you make to websites across the net that serve Google / Doubleclick ad inventory. Since Google is great at understanding the content of a website, users are bucketed into categories that allow advertisers to show relevant ads based their interests. You can even see how users in different Interest Categories behave on your site directly in GA by viewing the standard reports under Audience > Interests or creating segments and custom reports. (I won’t berate you about the importance of using custom reports and segments, but if you are spending most of your time in standard reports then I’ll let Avinash berate you). Audience Lists can be built using a generic Adwords remarketing pixel (smart pixel), custom Adwords remarketing pixels, or in Google Analytics. The remarketing “smart pixel” is a single pixel that goes on every page of your site. This code will cookie your visitors and allow you to do creates lists of users in the Adwords interface who took basic actions such as “visited your site” or “visited a specific page”. Custom pixels include a “conversion label” which will allow you target users who took a specific action or met specific criteria, for example, users who watched a product video. 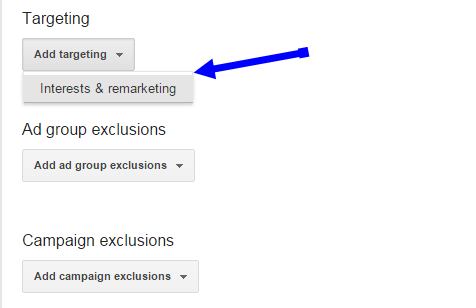 (For more information ways to use a custom pixel with Google Tag Manager, see my post on Advanced Remarketing with GTM). There are even custom parameters for remarketing tags that can be added for a number of different industries to enable you to use Google’s powerful “dynamic retargeting” option. Building Audience Lists using Google Analytics (the topic of this post) affords with the power of the GA interface without needing to deploy additional tags to your site. The “Audience Builder” feature can be either be accessed from the Admin Section (Property > Remarketing > Audiences) or added directly from segments. I almost always use build a Segment first as this allows me to analyze the segment before adding it to an Audience List. (For help with building segments, please refer to this help article). These Custom Dimensions can be used independently to create meaningful segments that allow you to analyze customer behavior by demographics (such as age and gender) as well as varying levels of customer loyalty. Don’t forget, getting this data into Custom Dimensions will require implementation work (read developers) and setting up the dimension in the admin; they are not “standard” or “out of the box”. In the example segment above, I paired gender with a moderate level (3-6) of previous purchases. By creating this segment, I can now drill down into the types of merchandise that these customers have either purchased or considered (indicated by a viewed or add to cart). Once the segment is created, there is a small dropdown indicator (it looks like the letter “v”) in the upper right hand section of the segment that reveals an option to Build Audience. 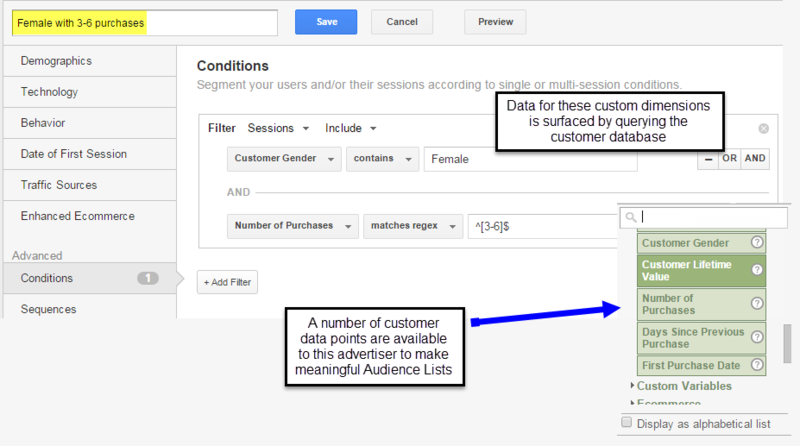 Choosing Build Audience from the GA interface will lead you to the Audiences section in the admin. 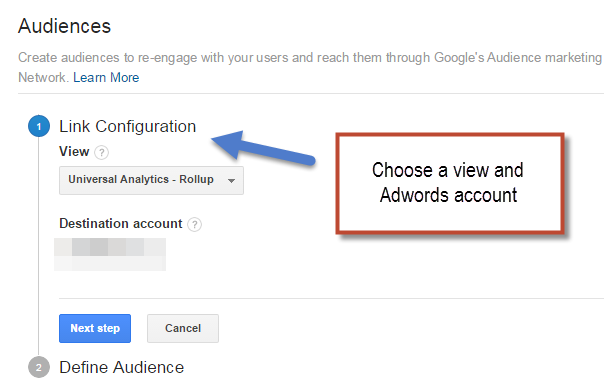 First, you will need to choose a View and destination Adwords account (where to save the Audience List). Next, you’ll notice that your Segment automatically is imported into the “Define Audience” builder. (You can edit the conditions here directly if you need to). 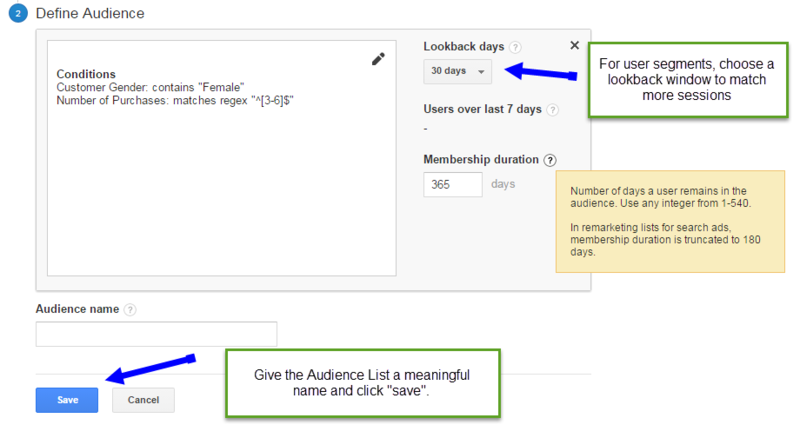 Choose a Lookback window, set a Membership Duration, and when you hit save the Audience will be available in the Adwords interface. Alternatively, if you have a number of Segments already created, you can directly access Property > Remarketing > Audiences and choose the “Import Segment” option in step 2 (define audience). Audiences can be used to directly target users in the Google Display Network (GDN), or used as a bid modifier for Remarketing Lists for Search Ads (RLSAs). The following steps will show you how to add an Audience to a Search Campaign to be used as a bid modifier within the Adwords interface. We’ll use users who have made a transaction as our Audience. First, click the Audiences tab. Then click the red +REMARKETING button. 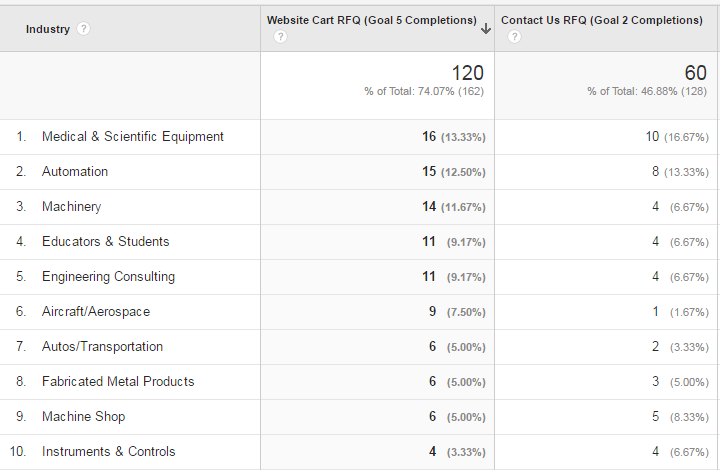 If you are within the Campaign Level of your reports, you will need to select an Ad group. (An “Ad group” contains your ads which target a shared set of keywords, Display Network targets like specific websites or other targets such as Remarketing Lists or Interest Categories). Then you will see an option to Add Target. Choose Interests & remarketing from the dropdown. The Campaign and Ad Group Exclusions options are ways to add powerful logic to your lists. For example, if you use the list of “Females who have purchased between 3-6 times”, you may want to exclude users who have a total Customer Lifetime Value below a certain threshold. Exclusions will allow you to create very granular custom lists. Once your Audience is added to the Ad Group, it is time to move to bidding. 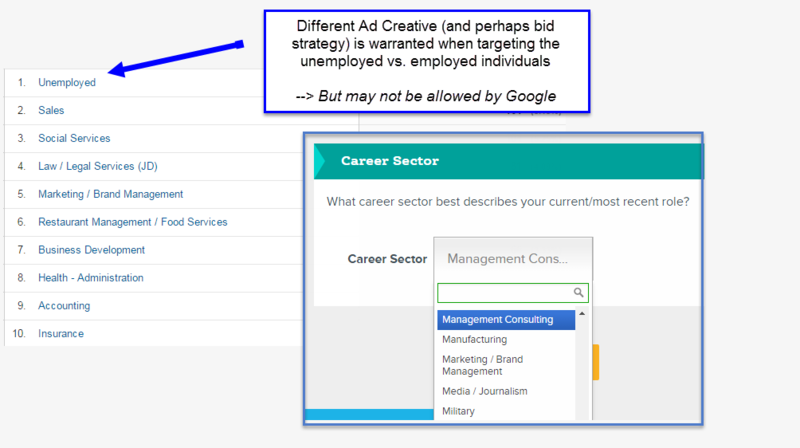 As mentioned earlier, for the Google Display Network you can choose to target your ads based solely on Audiences. The likelihood that your ad will be displayed is based upon your bid (and other factors, such as competitors’ bids, in the ad auction). To garner more displays, and potentially more clicks, you would bid more aggressively. For CPC bids, you pay when your ad is clicked on and your bid serves as an indicator for how much you are willing to spend per ad click. For the Search Network, you can add a bid modifier to Increase or Decrease your bid appropriately. For example, if you are bidding $3.00 on a keyword, you may want to increase your bid by a certain percentage specifically for users that you know have made a previous transaction on the site. 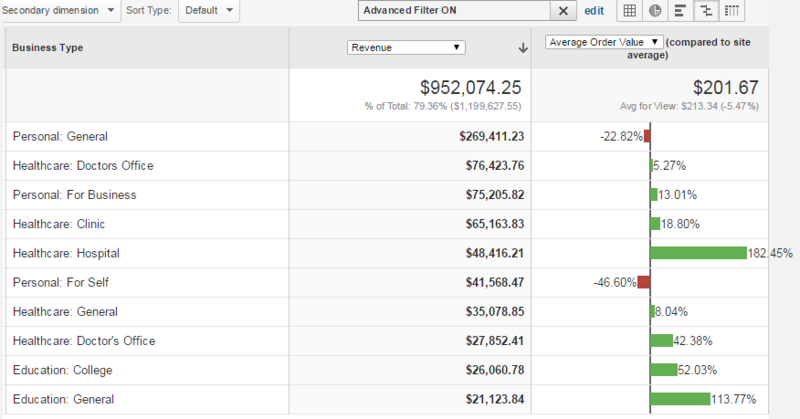 Earlier, I showed how Enhanced Ecommerce reports can show what items users have purchased or considered. With RLSAs, you can make very informed bid management decisions across different product lines for different customer segments. 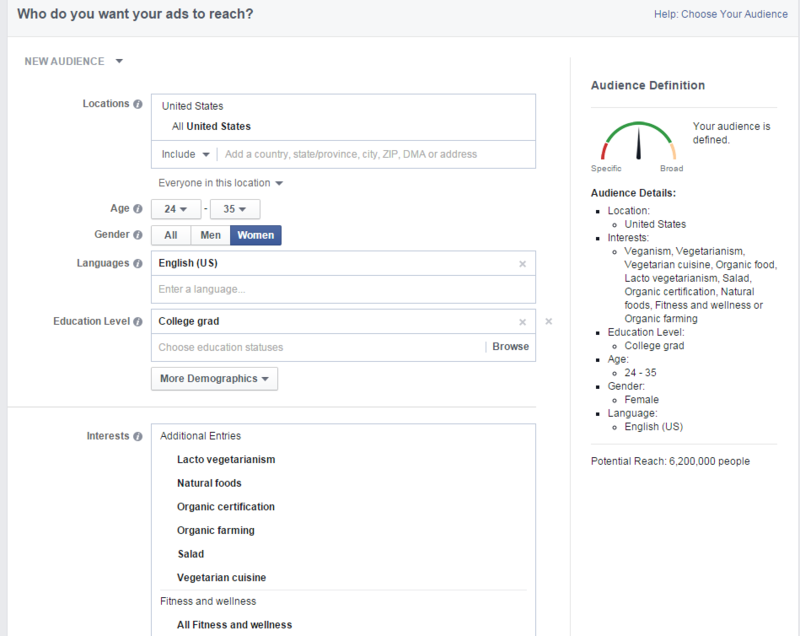 These bid modifiers are applied at the Ad Group level, so they apply to all keywords in the Ad Group. *Note that keeping your Ad Groups organized into tightly grouped themes of keywords is a best practice. Any type of product or service can be described using Custom Dimensions. 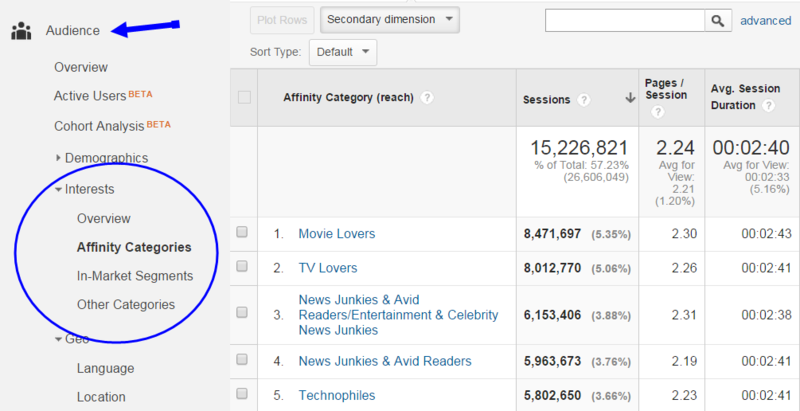 In the above example, I showed how to use “User Level” dimensions to help build an Audience List. This data was either affirmed by the customer (she filled out a form indicating she was female), or was gathered from the customer database (we queried how many purchases she has made). In the example below, we can infer certain information about the customer or prospect based upon their actions on the site. In this use case, the merchant sells video training products. Based upon the purchase choices that the customer makes, we can infer what sort of subjects the user is interested in (Video Editing, Web Design, Business Applications, etc), what their skill level is (Beginner, Intermediate, Advanced), what type of software they use (Adobe, Microsoft, etc). All of this information is stored in Product Level or Hit Level Custom Dimensions. An action item might be to show products to this customer on the Google Display Network for new Adobe trainings that recently got released. In the B2B space, understanding one’s target market(s) is important to create high quality leads and help the sales department close deals. In the first example below, this manufacturer is storing information that users select from a lead form as a Custom Dimension (Industry). Once visitors from a particular industry are known, this company can use RLSA’s or Audience Targeted GDN ads to target specific industries. Similarly, this medical supplies company is capturing the Business Type of users on their site via their online checkout as well as lead forms. Additionally, GDN Demographics (Doubleclick inferred Age, Gender, Interests) available in GA as well as a long list of other Demographics and Technology Dimensions cannot be used for RLSAs. 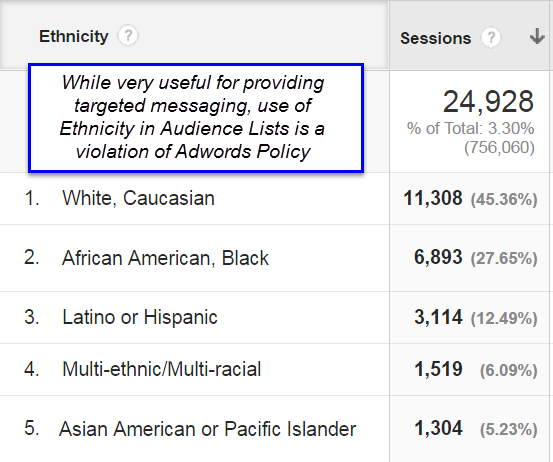 Please note that it is not against Google Adwords policy to target users by interests or demographics; it is only prohibited to create lists that contain “sensitive” or personally identifiable information. Ultimately, the more you know about your user, the better you will be able to target them with a relevant ad. Indeed the more psychometrics and psychographic data we have about users, really enriches the marketers’ capabilities. In the example below, this advertiser has access to customer level Personality Test scores. As a result, they can really craft excellent ad creative that will be well received by users in their Audience Lists. 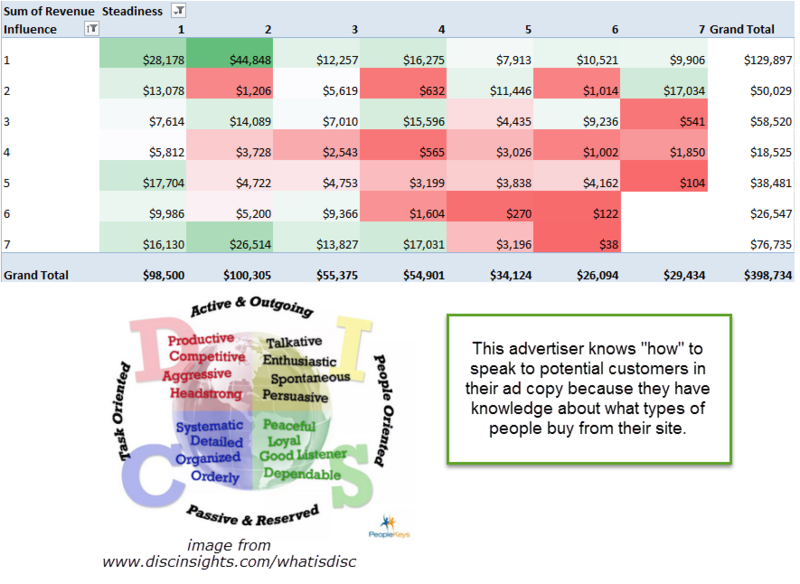 This pivot table shows overall product revenue varies across the spectrum of different personality types. For example, the “peaceful, loyal, good listeners” (the left vertical columns) have tended to spend more on this site. But not all marketers have be benefit of their customers taking Personality Tests. ☺ They do, however, have access to powerful targeting options on other non-Google platforms. My friend Lee Goldberg (a co-founder of the Vector Media Group) recently shared with me an awesome methodology for remarketing to users who were originally targeted on Facebook, LinkedIn, or Twitter. These three platforms have far more precise targeting than Google because much of their data is affirmative, rather than inferred. Even when they do use inferred data, users’ personal interests are much easier to collect on a platform like Facebook where people spend time “liking” things they like and attending “events” they’re interested in. Facebook is truly a goldmine of psychographic data. In the example above, we’re targeting food conscious, educated, young adult women in the United States. By appending a parameter to destination URL in our Facebook ad, we can capture the targeted group as a Custom Dimension in GA.
Notice how I’ve chosen to obfuscate the user targeting by simply using a parameter such as “group” and identified the group by a number. This is because this level of targeting can be a bit creepy; you don’t want people who click on your links to see target=24-35yr_Female_CollegeGrad_Veggie_FitnessBuff in their address bar of the browser. 😉 Seriously, be very cautious of this level of information; you don’t want to scare off your users or get a bad rep for ‘creepy’ practices. Even though this targeted group is identified as a number, it is fairly straight forward to turn that back into words directly in GA either via a Lookup Table in Google Tag Manager (assuming you’re all using GTM, yes?) or via some Search and Replace Filters in GA, so again, there is no need to expose the full target audience to the user. Custom Dimensions are one of the most powerful features in Google Analytics and utilizing them is an absolute must if you want to “gather meaningful data”. GA has the additional feature set of being able to take the segments that you build out of Custom Dimensions and turn them into Audience Lists directly in Google Adwords. Using smart marketing and business logic, the options for what Audiences you choose to create are almost limitless. How do you currently (or plan to) build Audience Lists using Custom Dimensions? I would love to hear your thoughts in the comment section below. *This is a guest post written by Yehoshua Coren, the Founder & Principal of Analytics Ninja LLC, a web analytics consultancy that provides advanced Google Analytics implementations and analysis for businesses large and small. You can follow him on Google+ or Twitter.